I kind of can’t believe it’s here! This month has been full of change, but all for good things. Despite these changes being for the better, they have still been challenging. I’ve always been the type who thrives on routine and predictability, and right now I feel like the only predictable thing is that I have little to no routine. My workouts are in the morning OR night, dinners are always at varying times, and sometimes I eat lunch on the go. With starting my Dietetic Internship, I have had much less time than usual to dedicate to this space. 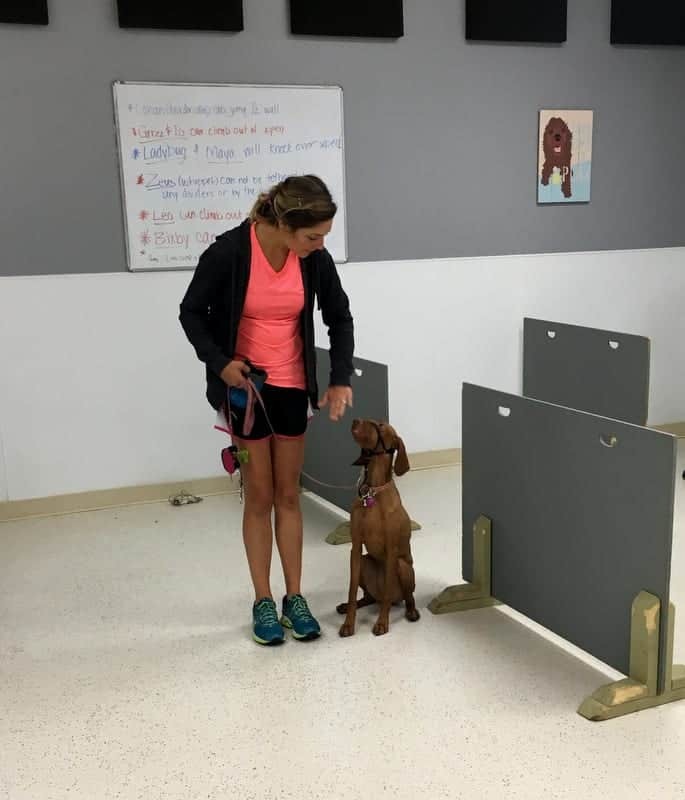 I still LOVE blogging and don’t plan on my little piece of the internet going anywhere, but I know that things will probably stay a little less consistent while I am completing this period of supervised practice over the next year. 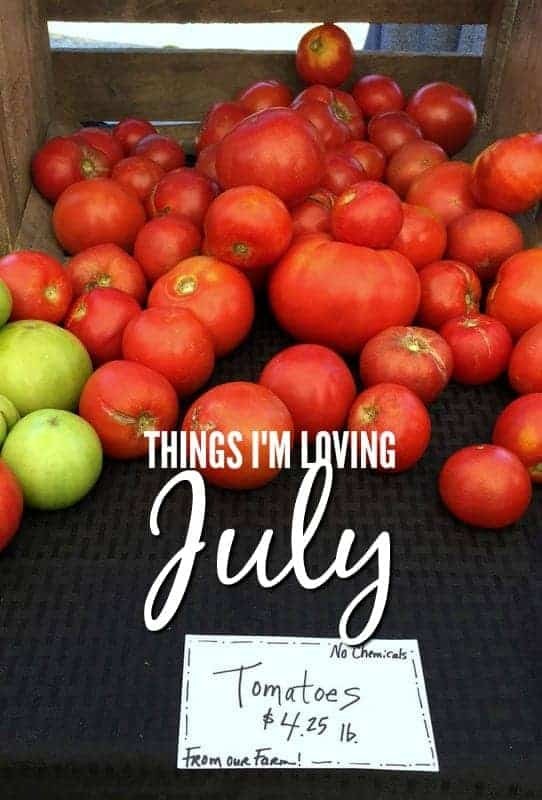 Now, let’s move onto the highlights of July! This year, Brian and I planted our first garden (other than a couple of subpar herb gardens we planted while living in Denver) and we are literally AMAZED by the fruits of our labor. 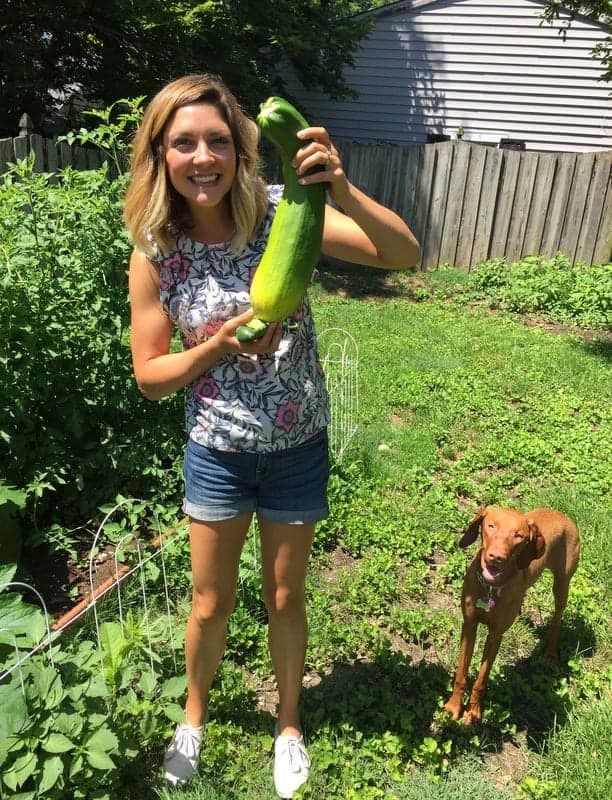 The above picture is of a GIANT zucchini that we somehow missed in our daily garden checks. 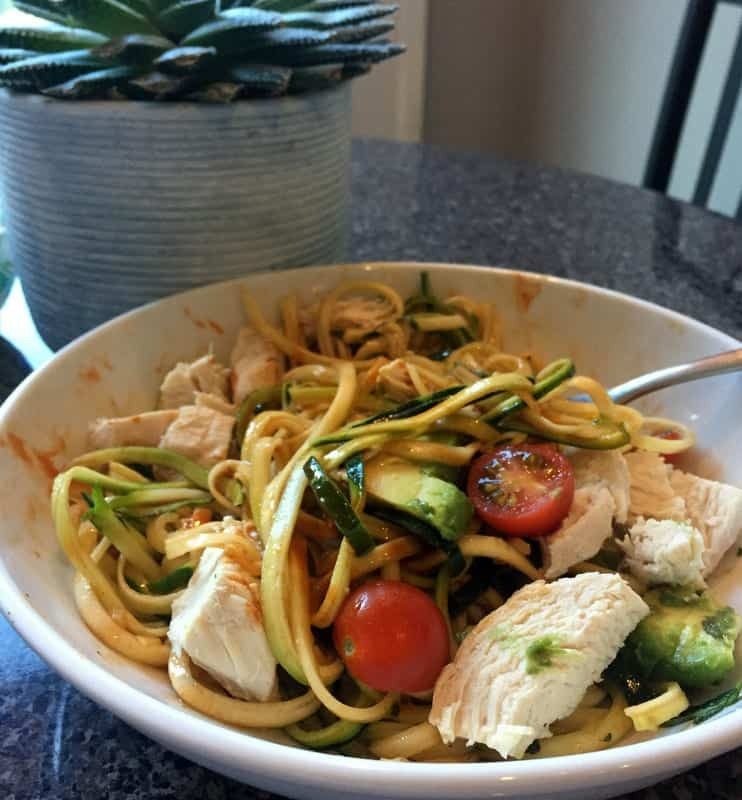 We have been making zoodles, zucchini bread, muffins with zucchini in them, grilling zucchini, and freezing it to toss into smoothies. Yum! 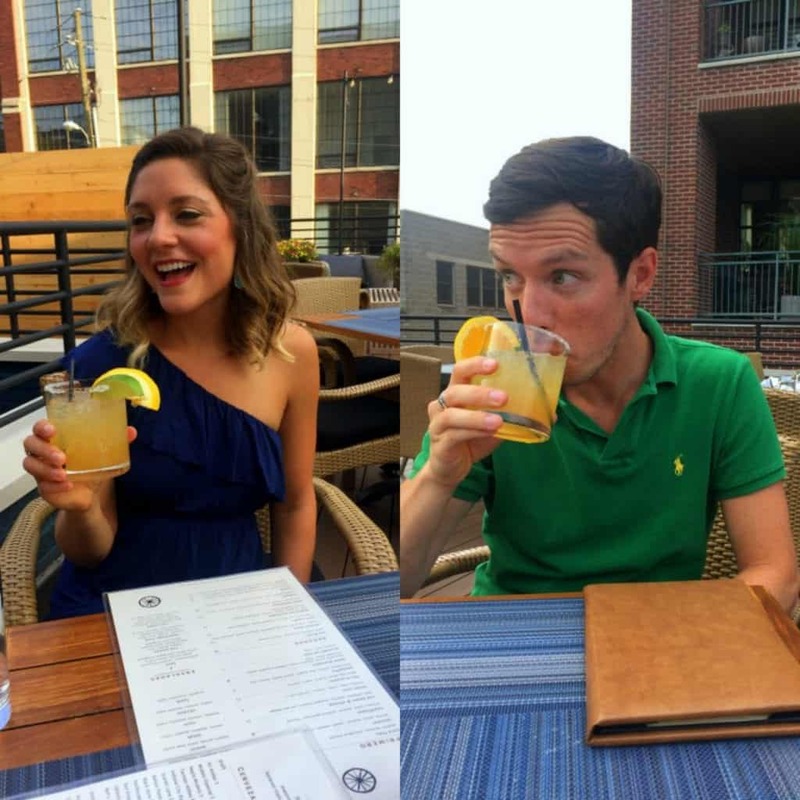 A couple of weeks ago, Brian and I met friends for dinner and drinks at Livery and loved every bite. Many of the dishes are served as small plates, so it makes it easy to sample and share with everyone at the table…which I loved because I always want just a bite of all the things on the menu. 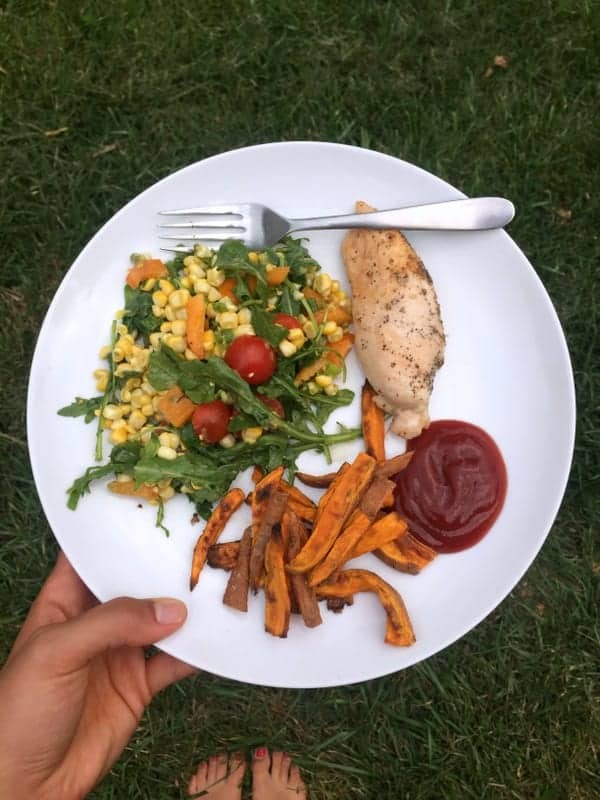 Meals like grilled chicken, veggie-ful salads and roasted sweet potato or regular baked potato fries have been on repeat all month. 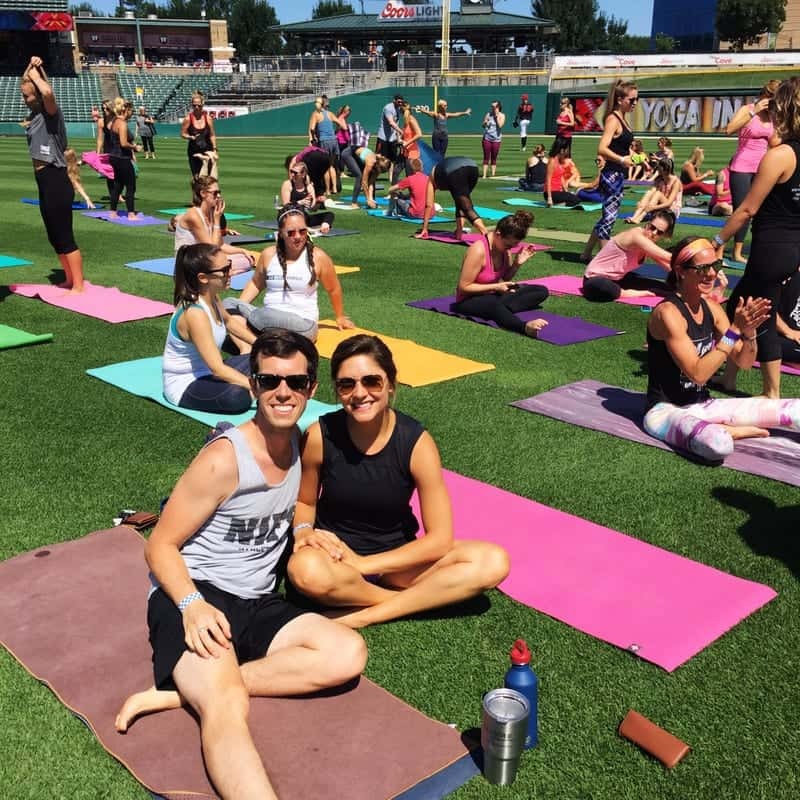 Brian and I attended an outdoor yoga class at Victory Field, which is where the Indianapolis Indians Baseball team plays. 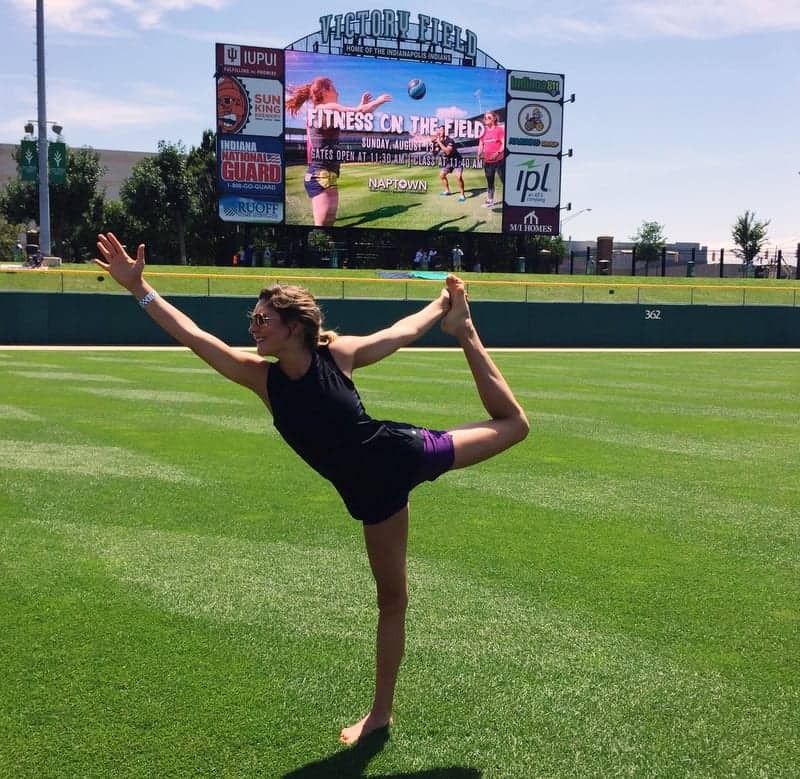 The class was a beginner vinyasa led by an instructor from Invoke yoga studio. We really love practicing yoga with new people in new places, so this was totally up our alley. My only critique is that there was not much time to linger, chat, and play with yoga poses before or after class. I understand that there was a game directly after the practice, but it still would have been nice to have a little time rather than feeling a little rushed in and rushed out. 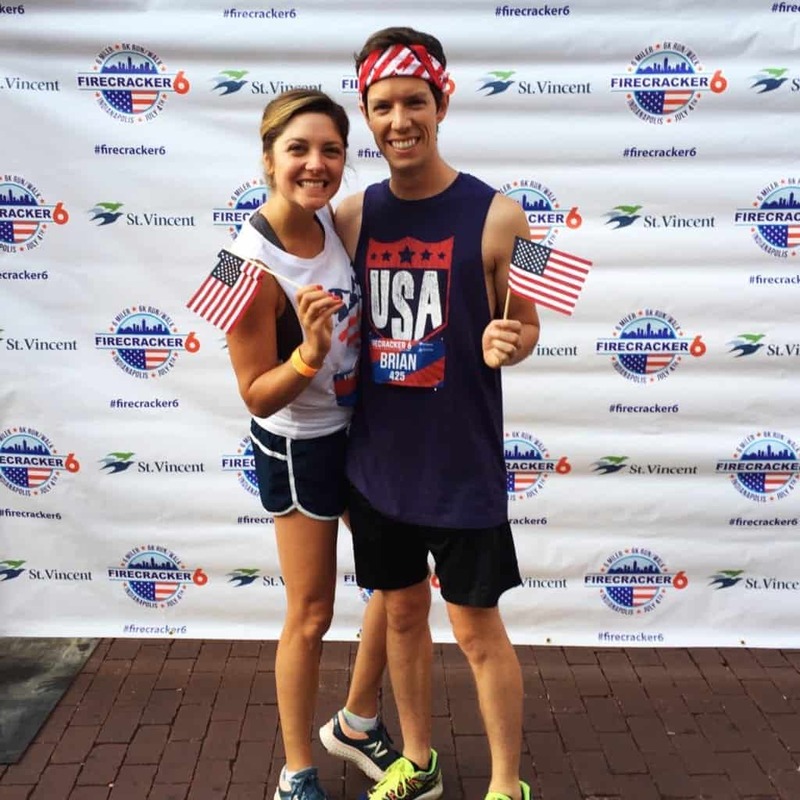 Brian and I have been running the Firecracker 6 mile race for 6 years (with a 2 year hiatus while living in Denver!). We loved training together and it’s always fun to cross the finish line together. Going out and about with the pups. First of all, Bernie looks like such an adorable goof in this picture! When we took it, I literally couldn’t stop laughing. Now that I am not with the dogs all day every day, Brian and I are making more of an effort to do things around the city that includes the dogs. 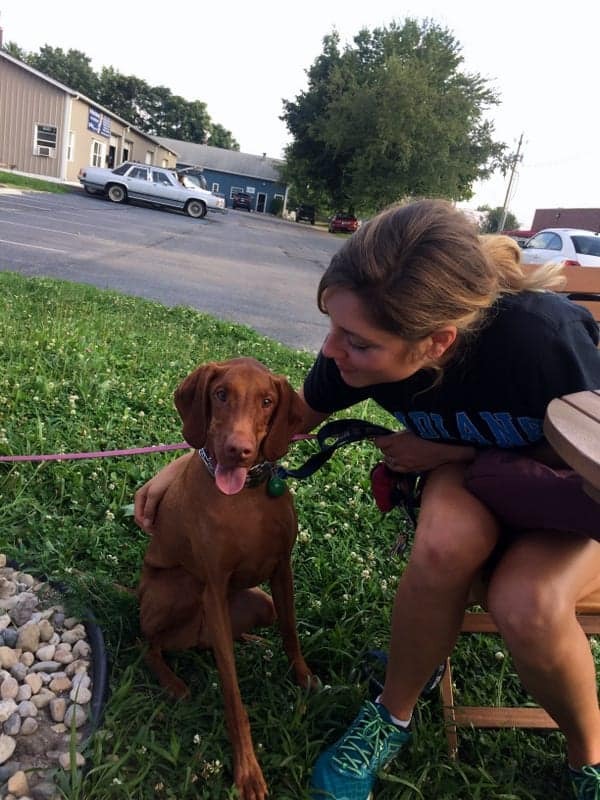 Some of our favorite things are walking to grab ice cream with the pups, walking to Holcomb Gardens at Butler, grabbing drinks with friends on a patio with the dogs after a walk, going to the dog park, hiking in Brown County, and walking to the Farmers Market. I am so thankful for so many dog-friendly options within walking distance. 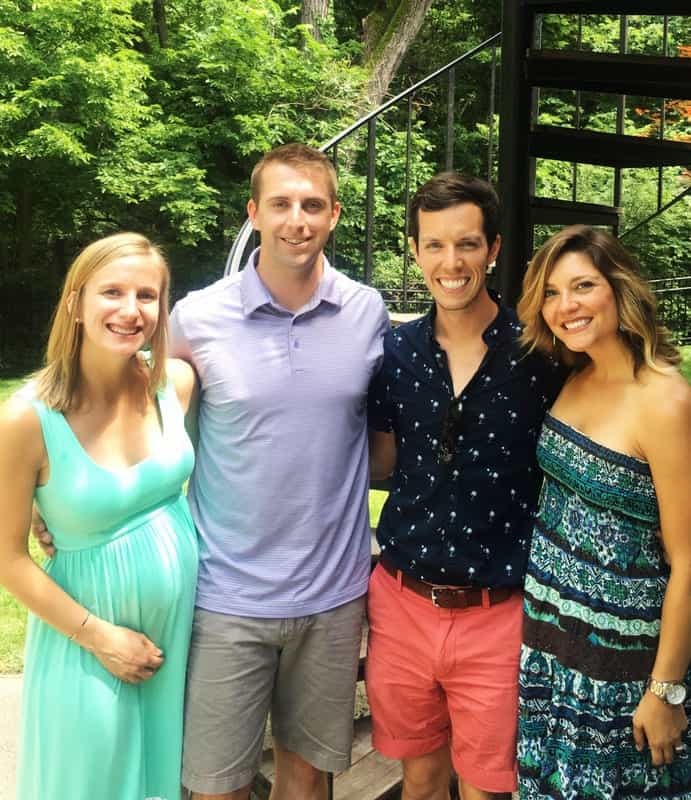 Celebrating Liz and Aidan’s baby! Liz and Aidan moved to Denver around the same time that we did, and they JUST moved to North Carolina and are expecting a little boy in October. It was such a treat to see them two days in a row while they were visiting family in town before the final haul to NC. Wishing them the best of luck!! 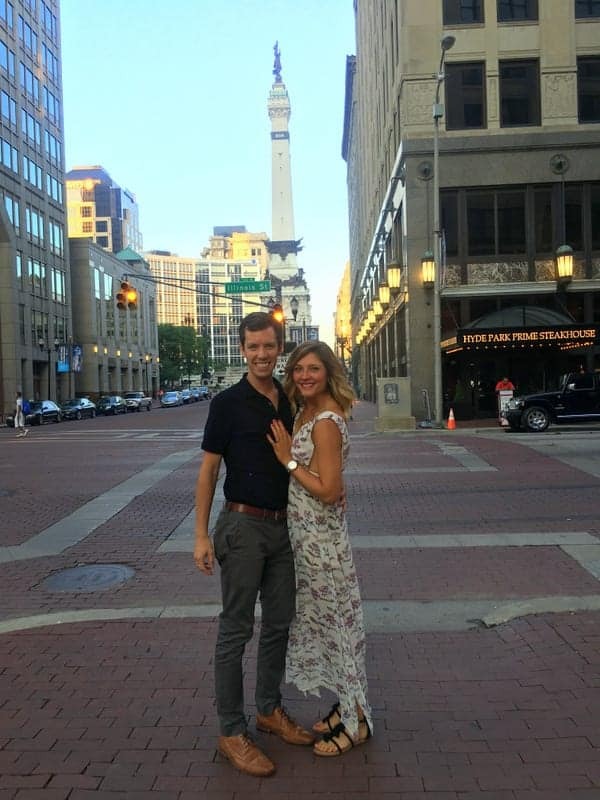 Brian and I celebrated our 4th wedding anniversary at the start of the with dinner and an evening walk (sans dogs) in downtown Indianapolis. It was fun to reminisce about our wedding day (our reception was downtown right on the circle) and think about all the changes and adventures that we have went through over the past 4 years. This picture was taken at the start of the month, and only four weeks later it is easily taller than me now. We have an abundance of zucchini and cherry tomatoes, which is very exciting. 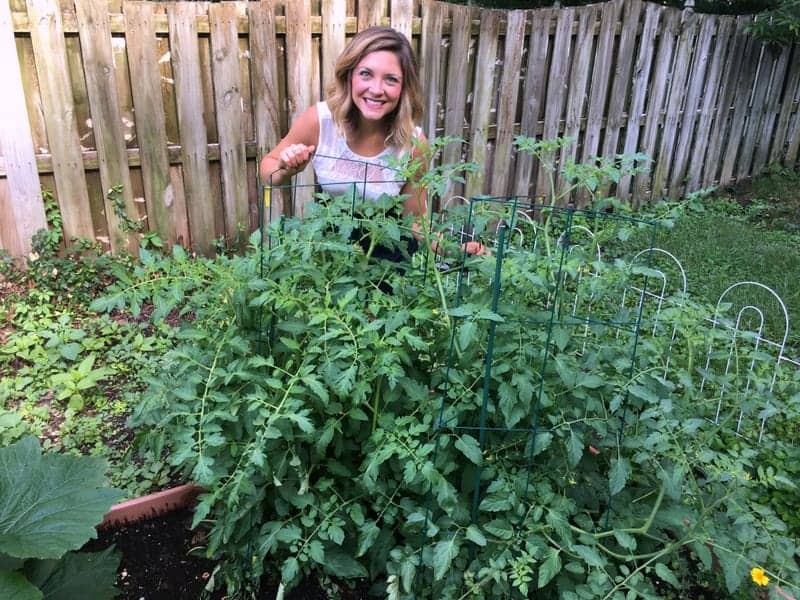 The romaine and green bean plants have been taken over by the tomatoes and zucchini and the jalapenos never grew. We are thankful for what we have and can’t wait to experiment with more next year! Bernie has totally turned into a water dog. When we see water, he immediately goes for it and wants to play fetch and swim. At first, Rooney was a bit hesitant. 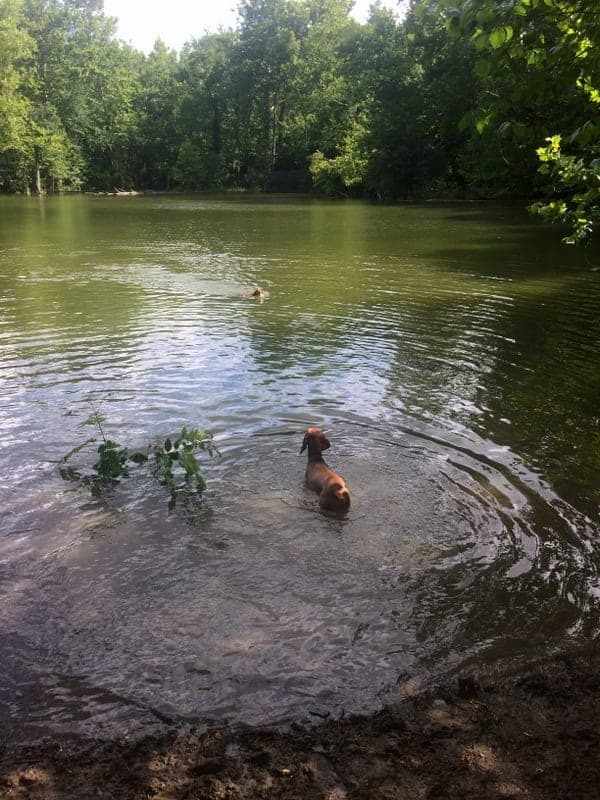 Each time we take her to the dog park, she goes a little bit deeper into the water and I can now officially say that she has no fear of getting in and going for it. She definitely needs to work on her swimming skills (she is not very graceful) but I know that will come with time. I have been completing the community portion of my dietetic internship and I am really loving every second of it. Every day is different, so I am getting exposure to all the various aspects of the life of a community dietitian. 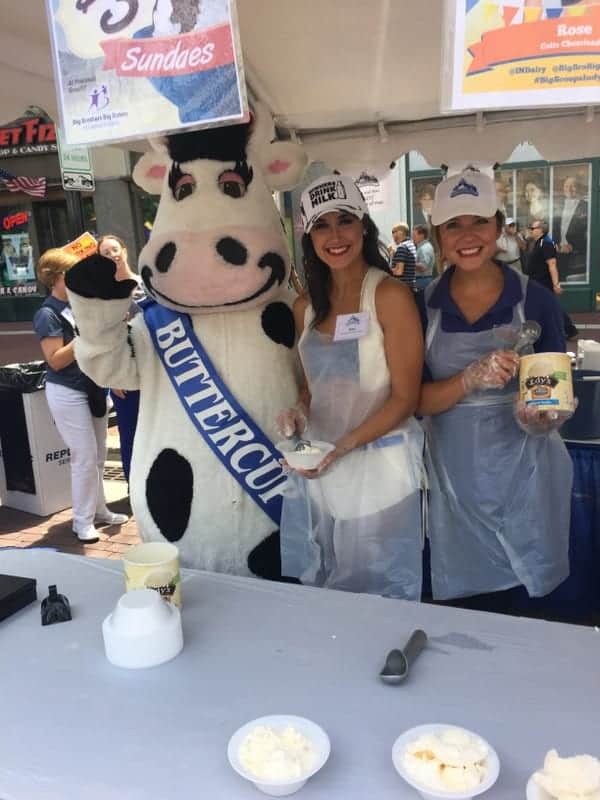 So far, I have helped with children’s cooking classes, attended a diabetes education class, helped scoop ice cream for a fundraiser hosted by the American Dairy Association (pictured above). Upcoming in this rotation I will create a community education class, visit a WIC clinic, shadow a restaurant health inspector, introduce healthy foods and educational materials to the employees of the health department, and help with the state fair (among other things). I am so thankful for this experience! Food Blogger Pro is mostly an interview-type podcast where Bjork (Lindsay’s of Pinch of Yum husband) interviews individuals who are successful in the industry. Some of the people interviewed are bloggers, some are podcasters, some are coaches, some focus on the legal aspect, some focus on the financial aspect, and so on. This is a great resource for bloggers and food entrepreneurs in a variety of categories. 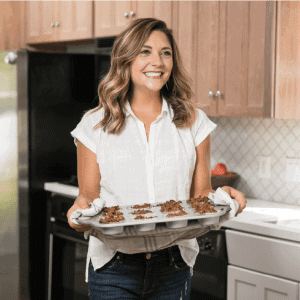 I found this podcast through Food Blogger Pro, but I am loving the real world, detailed advice that Natalie gives through this podcast for entrepreneurs. Some podcasts are 15 minutes and some are an hour, but they are all worth the listen (at least so far!). Share details of your month with me! Your garden is amazing! I don’t think I’ve ever seen a zucchini that big. How long did it take you to eat all of it?! Thanks for the podcast recs. I’m about to have knee surgery and am going to be in severe need of entertainment! Totally agree on the commuting buddy 🙂 I did grow that zucchini and I’m still shocked! !